5 weeks of profit now and it’s beginning to feel a lot like Christmas. The last two Decembers I have been in a big hole, while not an amazing return, I’m pretty happy to be sitting on a pretty nice profit this time around. Historically the next 5 months are very good to me, so I am hoping for the same sort of returns again for year 5. Would love to hit the $400,000 profit mark before the new year, but by now I know it is a meaningless number and it will reach that point whenever it decides too. It could be tomorrow or it could be in another 6 months. This week’s profit was pretty small, if not for a 3 pointer on the buzzer the profit would be $8,000 more, Damn insignificant 3’s. That insignificant 3 was at the end of overtime in an NBL game. The team I was on held a 7 point lead and had the ball with 17 seconds left. They threw the ball out of bounds, the other team went down the other end and with no defense on them threw up a 3. My fault for watching the game. Instead of a $4,000 win, it was a $4,300 loss. The NBL model still returned a profit this week with $2,700 added. NFL had an amazing week and added $7,200 and there was some profit in the NBA for the first time in a while. It added $2,500 while the NHL added $200. Once again the Sportpunter model makes a motza. Happily for Dailyprofit.com.au members, they also got to join in on a great weekend. On Monday morning we went 10-2 in the NFL, 2-0 on the NBA and 1-0 on the NHL, with the NHL bet being the first ever 1.5 unit play. NFL plays are always 1 unit and NBA plays usually 0.5 units. But 1 days results are meaningless and it’s long term we need to look at. 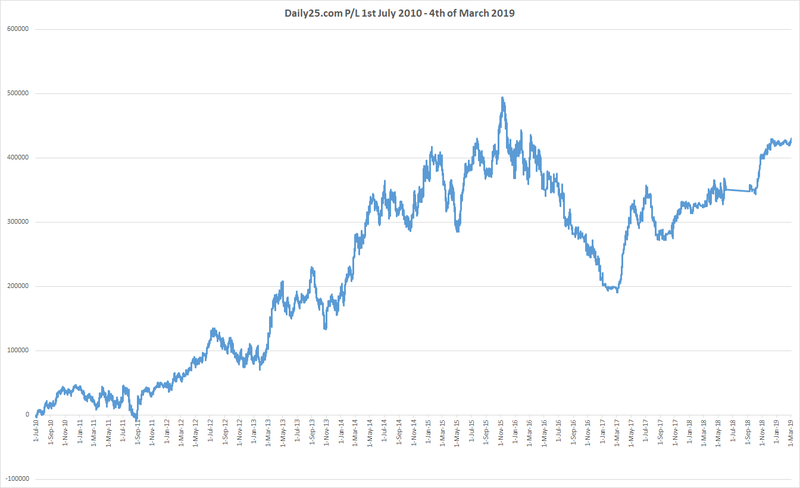 Since inception a little over 4 months ago and with a suggested bank of 40 units ($4,000), the Sportpunter part of the service has made $2,570 profit at 7.8% ROI. The great thing is, the odds recorded are an average of 3 members and can easily be bettered with very little effort. I’m so happy with how this little service is coming along, we are building a great service here where prices are achievable in strong markets. I don’t like to talk myself up too much, but this is clearly the best service in the world for small punters. 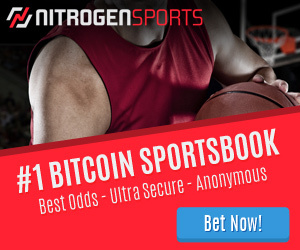 This season we are 54-39 in NFL bets, 10-6 in NHL bets and a pathetic 63-66 in NBA. The great thing is that the way I have structured the units means the loss in the NBA is much smaller as the bet sizes are smaller. With the Dailyprofit service, you not only get the greatest sports modeler in the world with Jonno, but you also get a half decent punter who can filter out certain bets and create a staking strategy that maximises returns. I feel it is the best value for money service in the world. It is so much value that prices need to go up in 2015. Currently the SP package is $33 a month, but from Jan 1st it will be $47. The Aussie Value and Risk free service will also see a rise in price. If you are an aussie then you need to join the VIP service, it is the perfect service for any punter in Australia starting out. If you are not from Australia then the Sportpunter service is easily the greatest tipping service in the world. Members will be locked into whatever payment they signed up at. So if you sign up before the new year, you will only ever pay $33 a month as long as you stay a member. Give yourself a great Christmas present and join well over 130 very happy members. I hate to sell, but I see the value in this service for all of you. It really is a no brainer to join. We have even more enhancements coming in 2015, with video courses, an iphone app and some user guides. It will be the best punting decision you ever make. OK, I feel a little dirty now, never have I sold something so hard, but I really believe it is an amazing thing I have created. Lets get onto the other results for this week. ClubGowi slow and steady approach didn’t work so well, but once again, as I had opposing bets, I managed to miss some of the losses and ended up $750 in profit. PCG did not do well and I just don’t think this service is going to work for me, $1,100 lost this week and in the new year I will reevaluate if this service is going to work for me. Jason Kelly lost $125 and Betswot $185 with the Golf. Sadly the Soccer did not continue its recent amazing run. Football Elite lost $2,600 and will not be getting that extra 100 pound bounty for Christmas. Football Value lost $1,000 but I missed a win on Malaga as Football Investor had the other side. TFA lost $6,400 and Winabobatoo lost $2,400. Football Investor made $600 and my own Personal bets made $3,300. Another profitable week and I have no idea which direction the next big swing will be in. I’m hoping it is a massive upswing, but I’ve given up attempting to predict where my bank will go week to week. There will be one more post before the new year, so for now I will just wish you all a very Merry Christmas and I hope Santa is kind to you. Personally this will be my first Christmas as a dad and I am over the moon. MERRY CHRISTMAS. hi, what do you classify as a ‘mistake’? The “mistakes” in the results area was when I placed a bet on the wrong side for the NBL, I manually entered the data myself and put things in reverse. I didn’t think it was fair to add the loss to the tipsters results as it was not their loss.